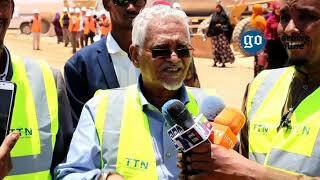 Somalia: MAP Demands Puntland President to Punish the Culprits behind the Assault against Radio Garowe's Journalist. 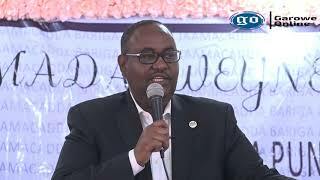 MAP condemns Presidential Escorts’ violence against journalist Khalif Geele in Garowe and reiterates call on authorities to stop persecuting members of media and immediately bring those behind the latest vicious assault against radio Garowe’s Journalist be brought to justice, punished and even dismissed from duty. 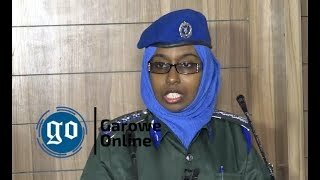 Garowe: The Media Association of Puntland (MAP)has condemned the assault on a journalist in Garowe on 25 Feb 2018 and has demanded action against the offenders. 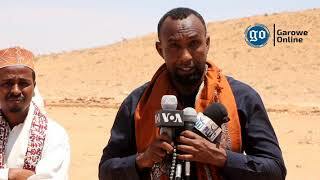 Journalist Khalif Gelle belonging to radio Garowe was assaulted by the Puntland president’s guard en-route to cover a graduation event at the Bosaso University in Garowe. The scuffle took place at the Garowe’s ‘’Jidka Sodonka’’ not far from the main entrance of the Bosaso University after when Khalif was stopped by President’s Security’s guard and was denied accessing the graduation ceremony. Even when Khalif explained to the security guards that he was a journalist and was on duty to cover the graduation, unfortunately, he wasn’t allowed to pursue his duty and was forcefully pushed back, punched him repeatedly, before even kicking him on the face after he was knocked to the floor. The encounter left him with a bloody nose, a severe injury to his right eye, nausea, and dizziness. MAP expresses outrage over the repeated violence against journalists in Puntland which is a perfect specimen of repeated violations of the Constitution. 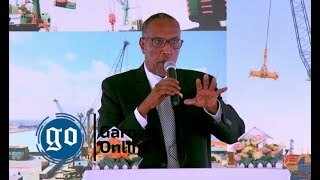 MOGADISHU, Somalia-Following long-running dispute, Somalia Supreme Court on Monday issued a ruling in favor of Omar Faruk Osman who headed Union of Somali Journalists (NUSOJ) in the past, Garowe Online reports.